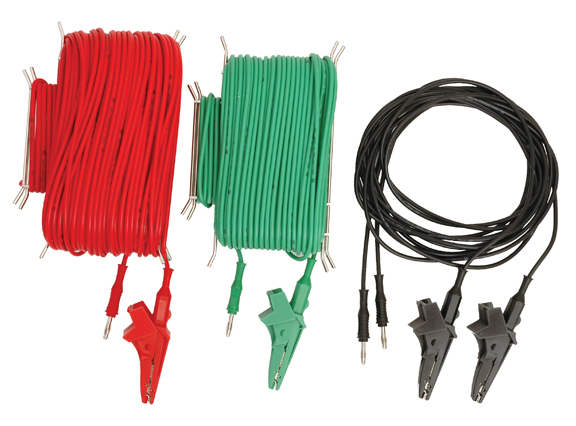 Set of 4 test leads for earth resistance testing. Consists of 1 x 50m lead, 1 x 30m lead and 2 x 3m leads terminated with 4mm banana sockets. Suitable for use with 2, 3 or 4 pole earth testers.